My pal, F.O.A.M. member, and author Steve Spatucci found this insulting t-shirt design available for sale...in Ocean City, NJ no less! I guess we can appreciate the Sea King being mentioned at all, but still. 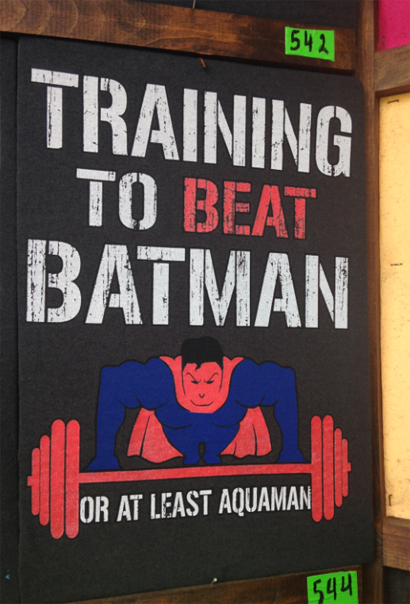 Yeah, that it's Superman training to defeat Batman really throws a monkey wrench into the works. They really seem to have turned the power totem on its head.